Grab this fantastic co-op game next week on PC or XBLA! When PAYDAY: The Heist isn’t enough to satisfy your desire to experience team- based burglaries, we have just the right game for you to dive into, with all the pixelated, retro-gaming love you can get. Pocketwatch Games is pleased to present to us with the official Monaco: What’s Mine Is Yours trailer just before the game releases mid next week! Monaco is a game about stealth, strategy, and, most importantly, teamwork. 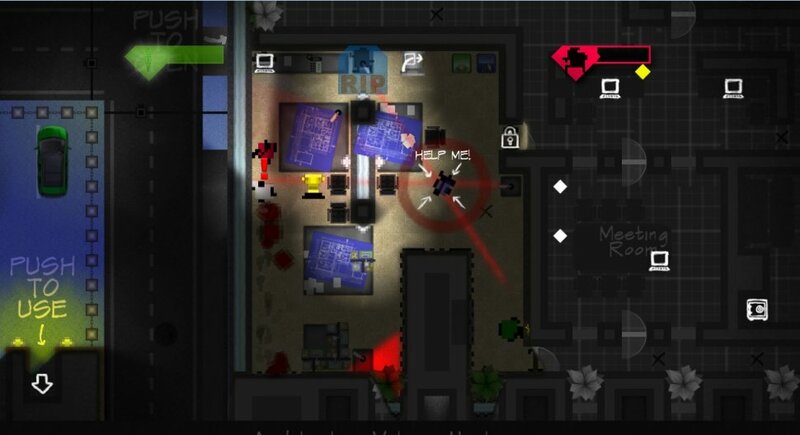 With an overhead view of the environment, each player controls a member of a robbery team that is given a specific task to do, such as “The Cleaner” incapacitating guards to move around unopposed, or “The Lookout” to keep close tabs on their position. This game can be played either by yourself, or with up to 4-players locally or online too, so it’s a great game for any co-op lovers out there looking to do bad. Listen to what this Frenchman crimelord has to say about Monaco in the official release trailer below! Monaco will release on April 24th for both Steam and Xbox LIVE Arcade at 1200 MSP or $15 (even cheaper if you preorder it). Do check out our co-op beta test for the game here for a closer look!